Well, it has been a great while since I've taken the time to make a post. Life gets that way sometimes. But I get to take a trip back to the St. Louis for the back end of June to visit family. And an even better treat - my wife is now able to come along! So that is great. The plan is to visit a lot of family history sites with my Dad. Of course, we plan on seeing several 8th MO CAV sites as well. 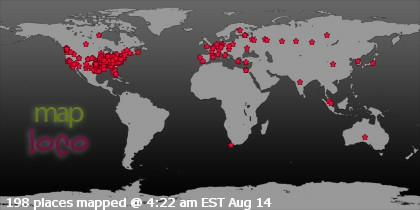 When I get the pics, I will make another post. Until then, hang tight and keep riding! 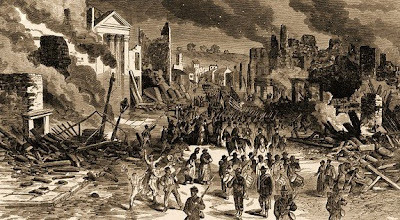 MG Sterling Price's Missouri raid, depending on what one considers to constitute a raid, is the longest raid of the Civil War at 1,435 miles. 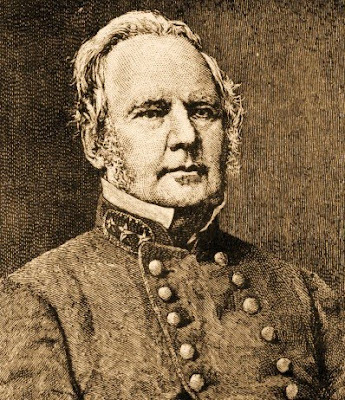 In comparison, Gen. Morgan's Raid into Kentucky, Indiana, & Ohio was just over 1,000 miles. Considering that lasted from 29 AUG to 2 DEC, I'm not sure one could really consider it a raid, but if one chose to, Price's raid to liberate Missouri would be the longest of the War. One might more accurately call it an expedition. Expectations were high for all of Old Pap's forces. Here is a quote from James E. McGhee's book, Campaigning With Marmaduke, from the diary of 2LT John A. Bennett, Co. D at the beginning of the Raid. "Recruits are daily coming into our army, filling up its ranks to overflowing. Our prospects are bright. Every one looks forward to a glorious victory and a speedy termination of this horrible war. 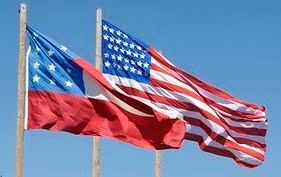 May God speed the day of a glorious peace." 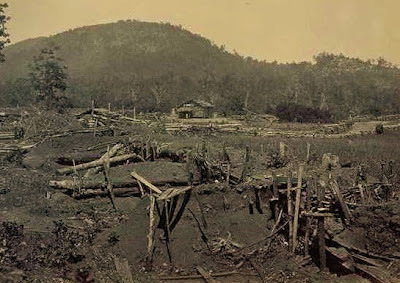 So started Price's Raid from Camden, AR on 29 AUG 1864. 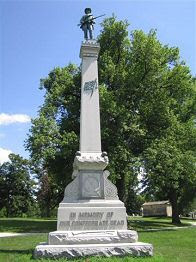 By the 19 SEP, Price's Army of Missouri was crossing the state line. Troop totals were between 12,000 & 15,000, with probably half of them armed. Of course, when opportunity presented itself, small arms & ammunition would be secured for the unarmed soldiers. The Raid started off well enough. 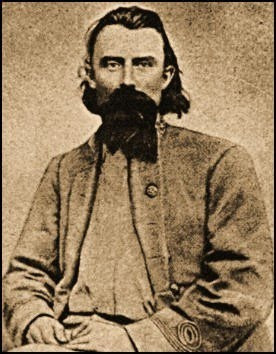 Victory in APR 1864 in Southern Arkansas in forcing MG Steele (US) back into his Little Rock headquarters of the Army of the Frontier set the stage for this last heroic charge to secure Missouri firmly for the Confederacy. 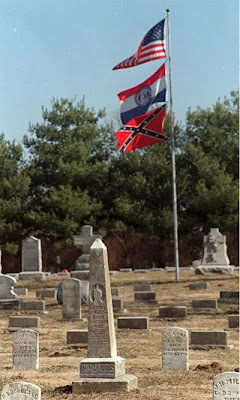 A series of skirmishes occurred leading up to Pilot Knob from the Missouri border. 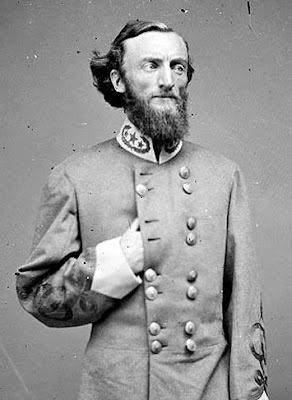 Colonel Jeffers engaged General McNeil's forces on the Bloomfield/Sikeston Road near the Castor River on 21 SEP 1864. It was a rout, with a fair amount of supplies secured, despite the efforts of the Yanks to hastily destroy them. 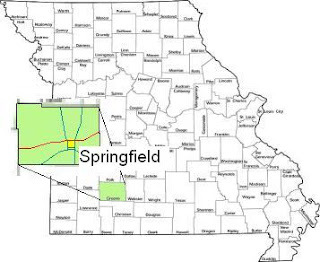 On 24 SEP, COL Jeffers band left Bollinger's Mill (present day Zalma, MO) according to LT Bennett's account and "marched in the direction of Jackson, Cape Girardeau County, MO. We charged into Jackson about sunset, captured 18 prisoners and about 40 horses. We got one man wounded." On 26 SEP they linked back up the main column. 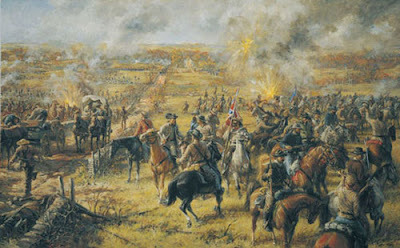 Then on 27 SEP, the fateful battle at Ft. Davidson began. Basically, a series of frontal attacks, while bold, turned out to be largely ineffective. I'm not sure what else could have done. Maybe doing a better job of reconnaisance and developing a solid plan. Old Pap had at least 10 to 1 advantage. But speed was of the essence...long story short, CS losses were estimated 1,000-1,500 while US losses were only 184. 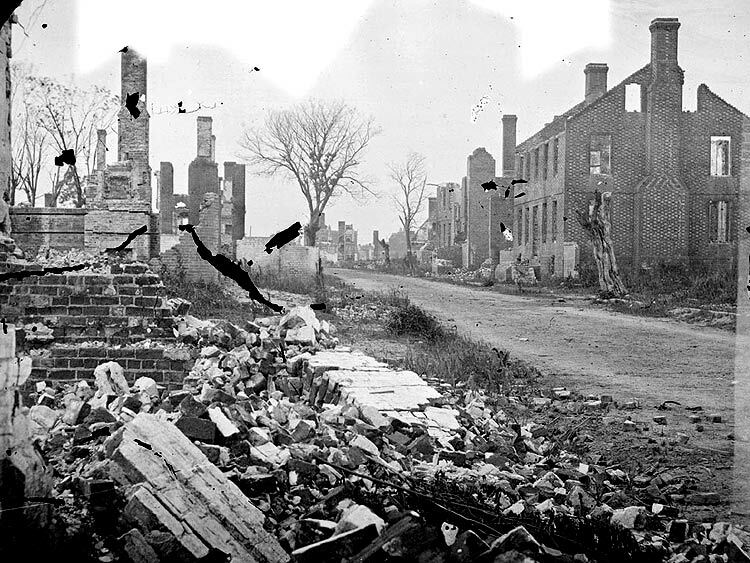 And to boot, BG Ewing and his men slipped through Confederate pickets that night to escape a sure defeat the next day, as Price's men were constructed ladders. Talk about a loss of command and control out there on the pickets! Such it goes sometimes. 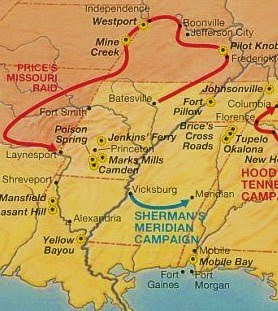 As you can see on the map, he pushed through Kansas and Indian Territory as fast as possible before returning to Arkansas on December 2 with only 6,000 survivors. He reported to LTG Kirby Smith that he "marched 1,434 miles, fought 43 battles and skirmishes, captured and paroled over 3,000 Federal officers and men, captured 18 pieces of artillery ... and destroyed Missouri property ... of $10,000,000 in value." He claimed the loss of 1,000 men, but it was closer to 6,000 over the three-month adventure. In hindsight many look at his mission as a failure. True, mission aims were not completely met. But surely one must look at his audacious efforts and praise him for at least hazarding a move. 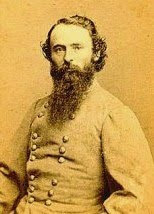 For the majority of the War, the Trans-Mississippi Department simply didn't have enough manpower to mount a legitimate attack on Federal forces to remove them from the region. Consequently, they just played a defensive action throughout the War, slowly losing ground in Arkansas & along the Mississippi River valley. And while loss of manpower was high, at least he inflicted a respectable loss on the enemy as well. 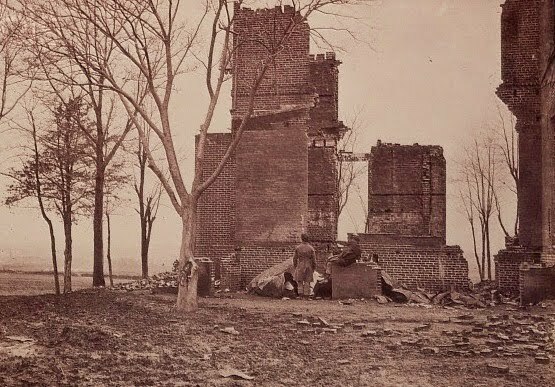 With the exception of the frontal attacks on Ft. Davidson, the raid was executed fairly well, considering the manpower and resources disparity. Then the inevitable complete eviction of the Confederate soldier in Missouri occurred. The noble fighting men under 'Old Pap' had to end the War on a sour note. But their accomplishments were great and will always be remembered in the best light!